I made this card for a friend of mine that got engaged at the end of September. I wasn't able to make it till now but a few weeks after the engagement isn't bad! I like the love pp. 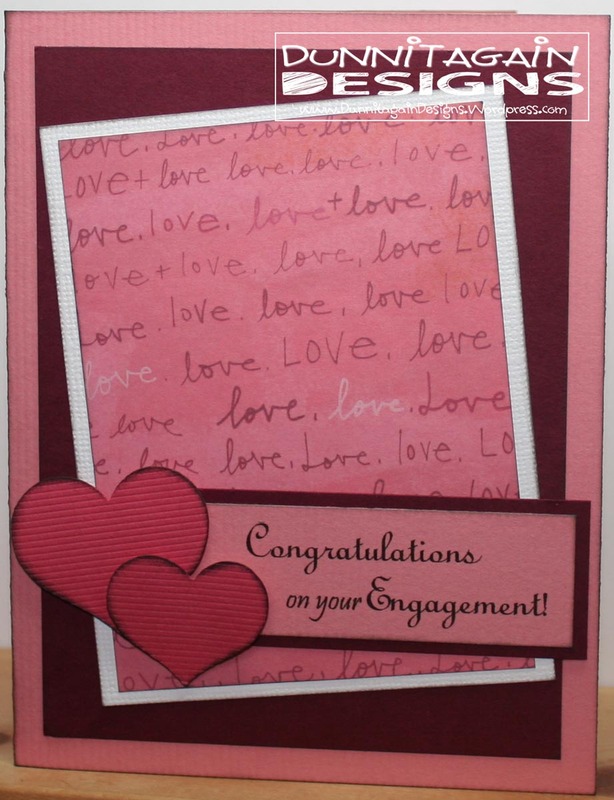 Like the 'love' paper and the inking on the hearts!